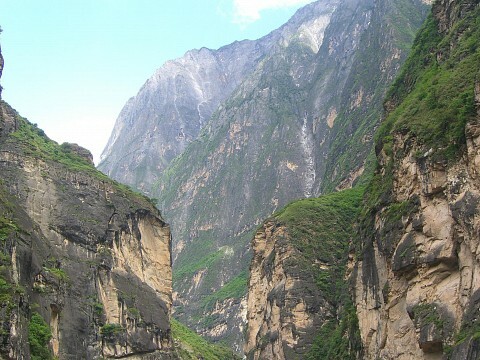 Walking alongside one of the deepest gorges in the world, the Tiger Leaping Gorge, you are surrounded by 6,562 feet-high snow-capped mountains. As you pass tiny coffee houses selling tea, coffee, and energy bars, the trail winds around the terraced mountains. 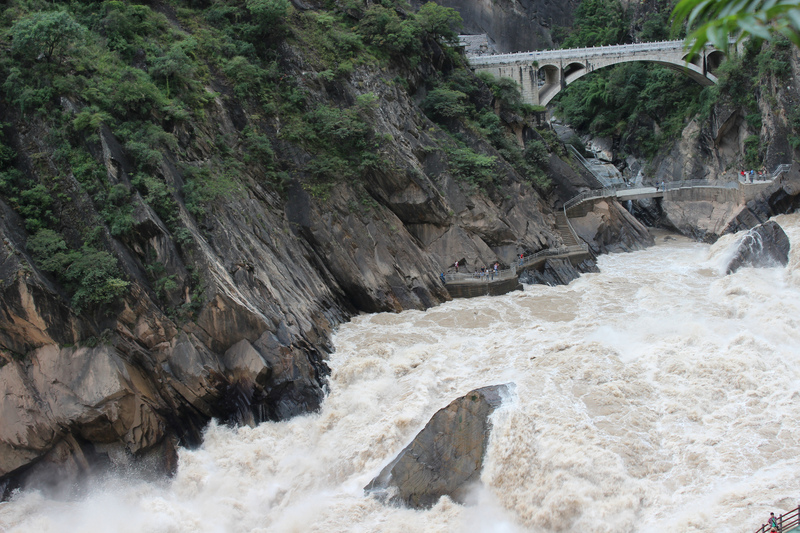 At 10 miles long, Hutiao Xia (Tiger Leaping Gorge) is fast becoming one of the most popular natural attractions in China, especially with foreign hikers. Located in the province of Yunnan , in the far southwest of China, the Tiger Leaping Gorge has been a world heritage site since 2003, preserving the nature, and keeping tourism traps largely at bay. Gorges are formed when a river crosses limestone plates, creating a crack in the rock. This rock widens as pressure from the river builds, and a gorge is formed. 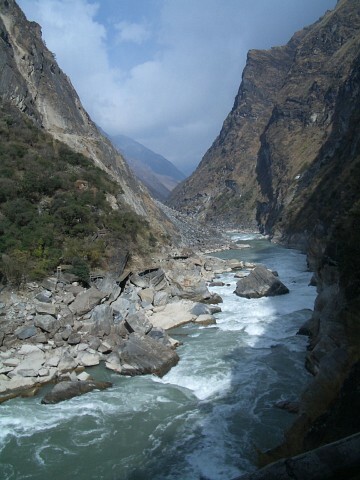 The rocks that form the Tiger Leaping Gorge are mostly limestone, dating back 250 million years. On top of the layers of limestone, siltstones and sandstones are found, mostly at river level. 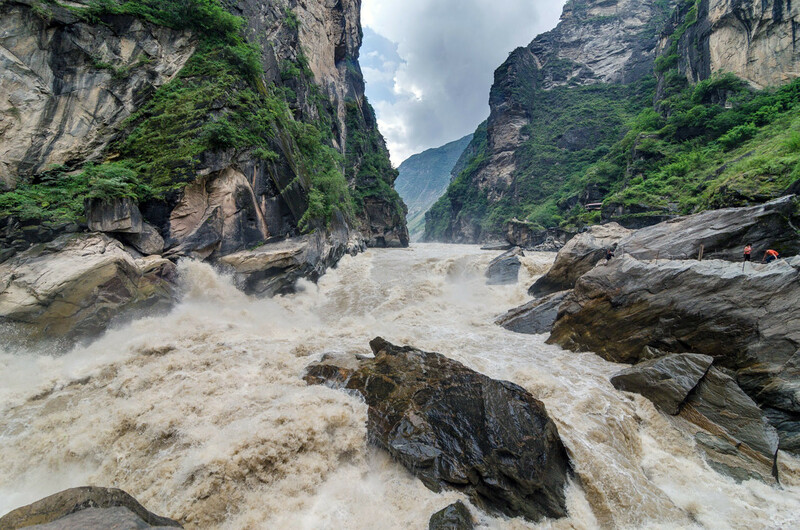 The gorge is situated along the Yangzi River, the third longest river in the world, and encompasses several fast-flowing rapids. 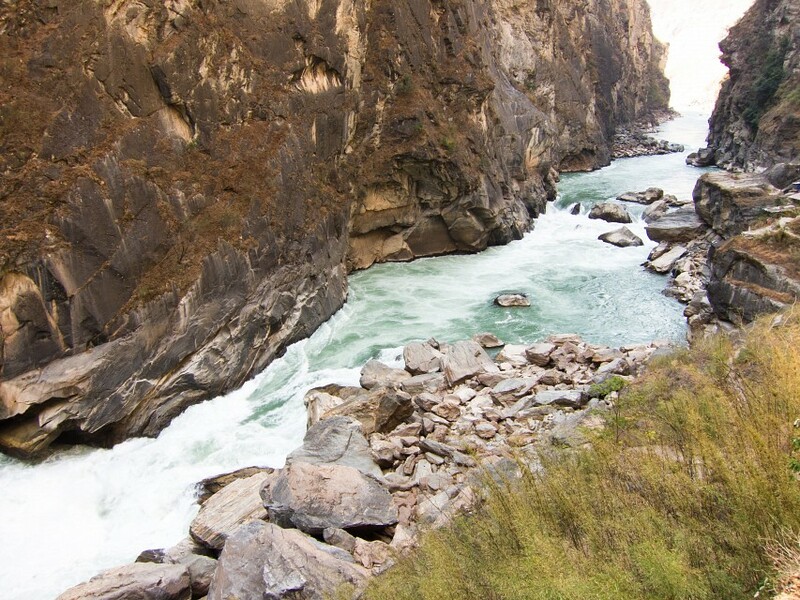 As legend tells, a tiger used a large rock located at the narrowest point of the river to cross the ferocious rapids, hence its fairly unusual name. The walking trail is situated about 984 feet above the rapids, with steep drops off to the side, making for incredible scenery. There are no ropes or safety measures; it is recommended not to walk along the trail during the rainy season, and appropriate footwear is a must. You can also follow a much shorter trail, located alongside the riverbed, which is much nosier because of the rapids, and you don’t have a view of the gorge from above, but provides a completely different experience. The number of days you spend on the trail is extremely flexible, and depends entirely on your pace, though most travelers do it over three to four days. With several guesthouses along the way, you could spend up to a week on the trail, or spend as little as two days walking through the gorge. 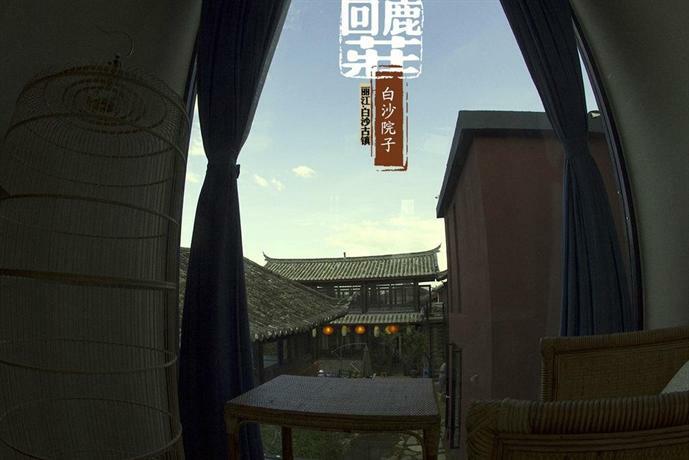 The guesthouses are basic, but cheap; all provide hot meals and most provide showers. The views from many are outstanding, and a whole afternoon can easily be spent drinking tea or beer and reading on one of the many patios. Tourism infrastructure is still developing, so finding a bus back takes some navigating. The end of the trail becomes clear as you start to descend to a road, or a restaurant, depending on which side of the trail you started from. Mini-buses run regularly, but be prepared for a stomach-turning ride. During the wet season, the road can sometimes be closed, or you may have to take the journey in two parts as the road often crumbles when rocks from above slip and cause damage to the road, forcing hikers to get out and walk along the road. No one has every kayaked down the gorge, the rapids are simply too strong, and the water too fast-flowing. 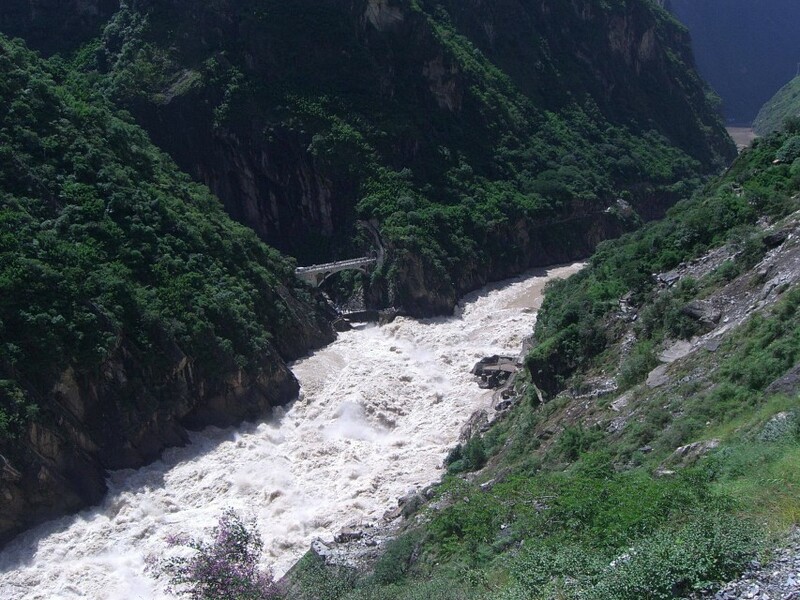 A group of Chinese did go down the rapids in a capsule raft, and although the team made it to the end, they suffered ten fatalities. At the end of the hike, you can walk down to the river’s edge, and you will experience the mind-blowing noise of the river as you cautiously creep closer to the water. A year after it was awarded World Heritage status, in 2003, the Chinese government made proposals for a hydroelectric dam on the Yangzi River. 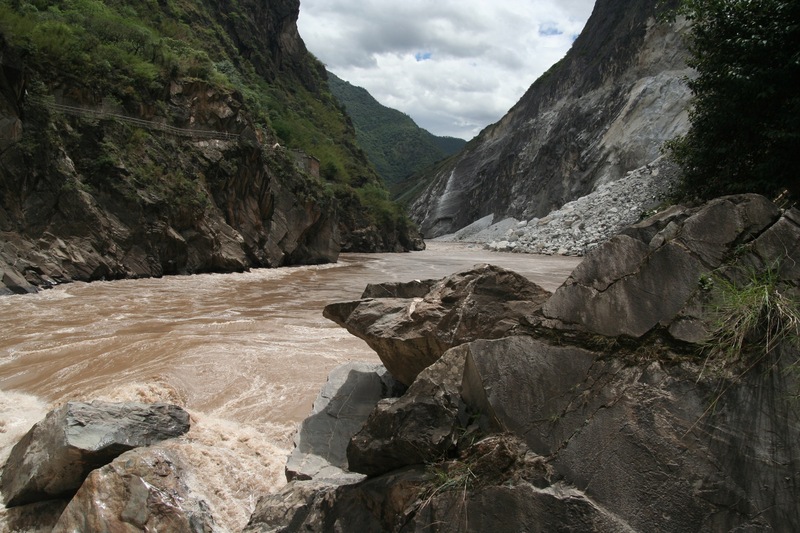 This plan would displace up to 100,000 people, stop the flow of the River, and furthermore considerably change the landscape of the Tiger Leaping Gorge. The plan for a dam was submitted along with a number of other controversial projects, and thankfully all plans were abandoned in 2007. Most travelers combine a trip to the Tiger Leaping Gorge with other attractions in China. 62 miles north of the Gorge is Shangri-La, made famous in 1939, when it appeared in the novel ‘Lost Horizon’. Ever since, it has been regarded as a kind of paradise, and understandably, is now a big tourist destination. 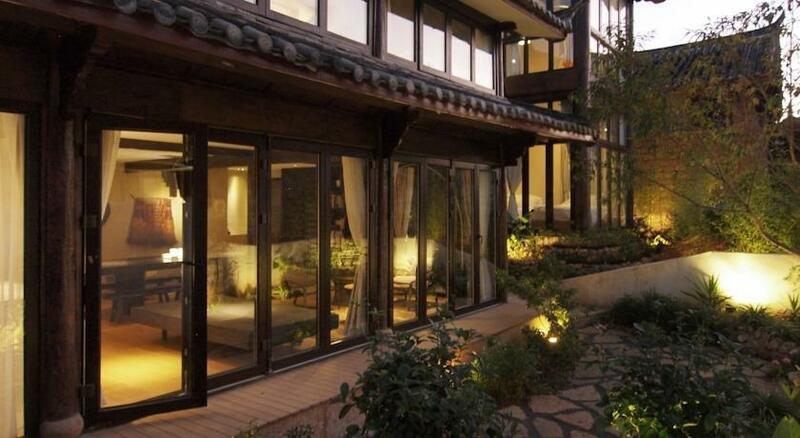 Mostly comprised of Tibetans , it is located high in the mountains, at the point where Tibet, Sichuan, and Yunnan provinces all meet. Although a beautiful place, it is difficult to reach, and with no railways and few buses, it is a fairly inconvenient destination. 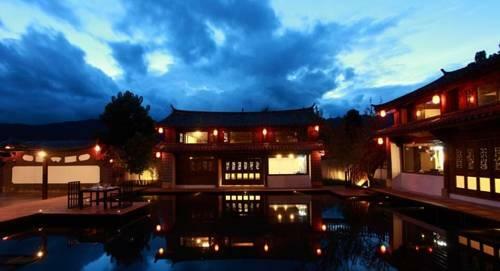 56 miles south of the Gorge is Lijiang , a popular stop-off for travelers before making their way to the Tiger Leaping Gorge. 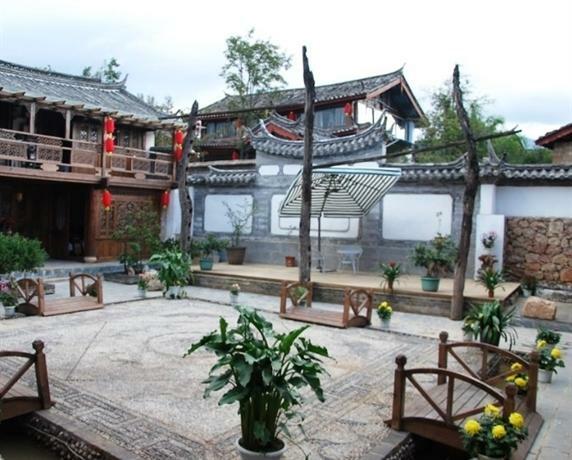 The old town of Lijiang, another UNESCO World Heritage Site, is a display of authentic architecture that blends building styles from several different cultures and historical periods. Uniquely, an ancient water supply system is still in use today, functioning effectively. 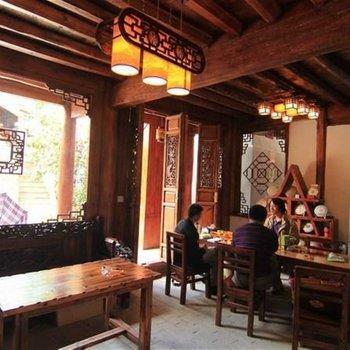 Although the old town has been preserved, the high number of tourists can make Lijiang feel like a tourist trap. With many restaurants all claiming to sell authentic food, prices are inflated wherever you go, so be prepared to negotiate for a fair rate. It’s easiest to get to Tiger Leaping Gorge from Lijiang, with buses running in the direction of Shangri-La approximately every hour. 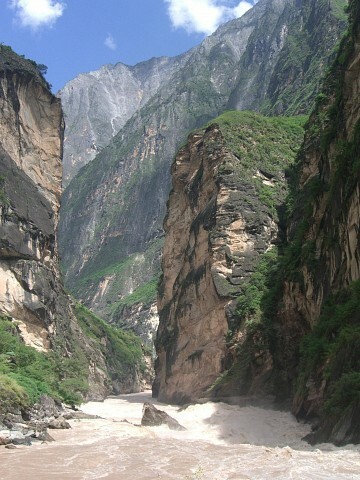 For Tiger Leaping Gorge, you get off at Qiaotou (Y20), and can begin the hike after purchasing an entrance ticket. 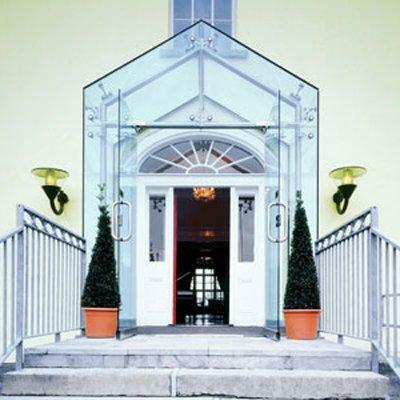 It is best to visit during the spring or autumn, when the weather is still warm where there are not the high numbers of tourists that you find in the summer.